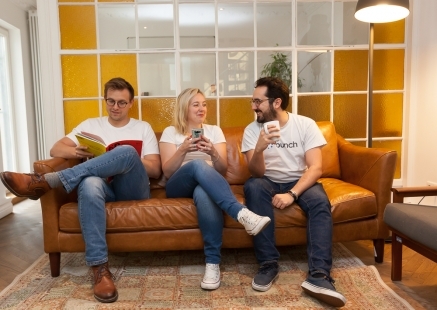 Bunch.ai is a Berlin-based team on a mission to change the way the world thinks about company culture. We know that managing change is hard - whether it's coping with rapid growth, new leadership, M&A, or business transformation. Our aim is to make it easier for teams to come together and do their best work in any situation. We're building a data-driven organizational development platform to empower leaders to manage their company culture using data. An effective, highly aligned culture means everybody wins - from your CEO and shareholders to your current and future employees. Bunch.ai got its start in 2016 as a consultancy called 12grapes, created to understand what makes startup teams successful. Now we're a technology company, with a team of experienced psychologists, data scientists, engineers, and designers all dedicated to enabling leaders around the world to make better-informed People decisions. Our Co-Founders are Darja Gutnick (CEO), Charles Ahmadzadeh (CTO), and Anthony Reo (CPO).